Purity ROM for Nexus 5! ~ AndroidRootz.com | Source for Android Rooting, ROMS, Tricks and More! Purity ROM for Nexus 5! Purity ROM for the Nexus 5 is a fast stable ROM that offers a few functionality enhancements to your Android device. Purity ROM has been out in the Android community since the Galaxy Nexus times and it's still growing strong with it running on the Nexus 5. Some features include double tap the status bar to put your phone to sleep, slide your finger across the status bar to adjust screen brightness, quick launch shortcuts that can be accessed by swiping up from the home button, and my favorite, the camera option in quick settings! Adding camera in quick settings allows you to launch the camera all within the actual quick settings, making it much easier and faster to take a quick picture before it's too late! Just tap on the camera tile and it launches within a second. Be sure to try out Purity ROM for the Nexus 5! 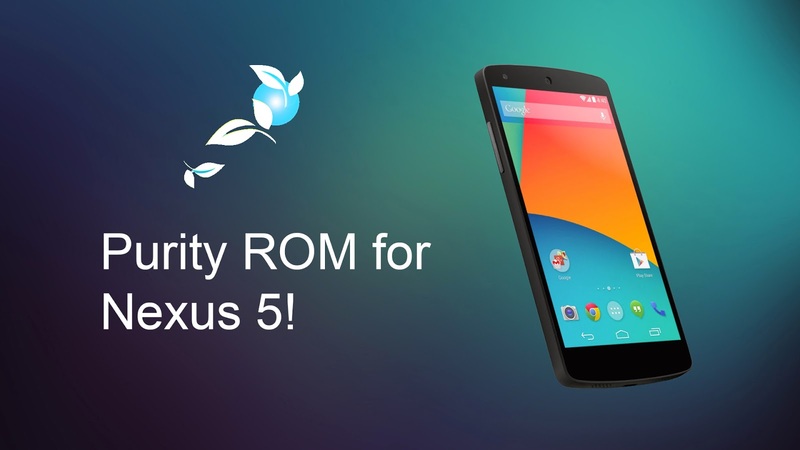 Download Purity ROM for the Nexus 5 using the links below!